Amazon.com description: Product Description: In the tradition of Michael Lewisâs blockbusters Moneyball and The Blind Side, the Encore edition of the #1 New York Times bestseller and âone of the best business books of the past two decadesâ (The New York Times) will tie in with the upcoming feature film starring Christian Bale, Brad Pitt, Ryan Gosling, and Steve Carell. When the crash of the US stock market became public knowledge in the fall of 2008, it was already old news. The real story of the crash began the previous year in bizarre feeder markets where the sun doesnât shine and the SEC doesnât dare, or bother, to tread: the bond and real estate derivative markets where geeks invent impenetrable securities to profit from the misery of lower and middle-class Americans who canât pay their debts. The smart people who understood what was or might be happening were paralyzed by hope and fear; in any case, they werenât talking. 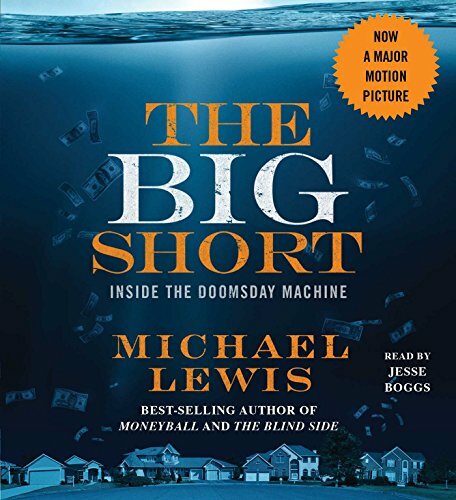 Michael Lewis creates a fresh, character-driven narrative brimming with indignation and dark humor, a fitting sequel to his #1 bestseller Liarâs Poker. Out of a handful of unlikely heroes, Lewis fashions a story as compelling and unusual as any of his earlier bestsellers, proving yet again that he is the finest and funniest chronicler of our time.